2003 photo by David Backlin. 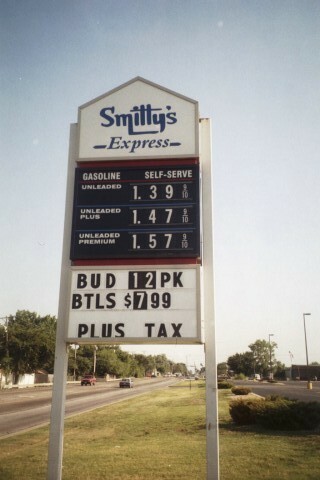 David comments: The Smitty's grocery chain was based in Springfield, MO. most of the stores had closed, leaving Smitty's free to buy back selected stores.